Hope's trained Biblical Counselors and Addictions Counselors provide one-on-one private and confidential sessions. An intake evaluation process determines what services are necessary and who will facilitate them. This ministry includes a family focus. Intervention: Assisting individuals, families and businesses at times of crisis. 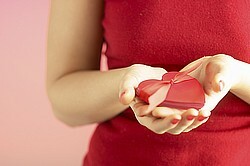 Encouragement: Providing compassionate support and encouragement. Biblical Counseling: Offering private and group support for healing and growth. Referrals: Providing resource information and facilitating referrals. Teaching: Instructing individuals and groups with life-giving truths of Christianity. Training: Facilitating skills of compassionate care for Christian leaders and recovery ministries. Continuing Education classes are provided through the Net Training Institute at Hope Ministries for anyone interested in working in the Recovery, Addictions, or counseling fields. These classes are facilitated by Lew Gervais, an Addictions Counselor and Educator for over 20 years. Facilitator training seminars are offered in order to help churches enter into the growing mission field of wounded, downtrodden and addicted people all around them. Our trainer will come to your church and train your people and help you start and organize a Christ-centered support group ministry. We offer Christian 12-step and other Christian support groups, also bible study groups that are all available to the community. This is a new ministry of Hope Ministries that extends an outreach to the community. It is patterned after military chaplaincy. The goal is to provide a chaplain in the workplace in the tradition of military chaplaincy and that of fire and police. The focus of the work is to provide a presence in the workplace: allowing workers to know their Chaplain. The major thrust of this ministry is to the Fire Service. 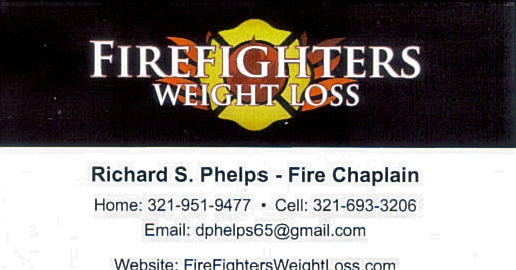 Our chaplain has experience in the fire service and a desire to provide service to Fire and Rescue workers. There is a willingness to provide service in any employment setting where management and workers are desirous of a Chaplain's Service. Chaplain Joe Pellizze leads the Hope Ministries Fire and Corporate Chaplain's Service. He is President of Hope Ministries and is a pastor and pastoral counselor. The service is offered without charge to the employer and their employees. Tom and Barbara Murgatroyd have been married 36 years, blessed with three sons, and five grandchildren and are the leaders of this very important ministry. They personally understand how incarceration affects the families left behind. They experienced it and are now reaching out to help others caught in difficult situation. Tom and Barbara say, "We are not professionals, we just have a heart for the hurting." Angel Tree Craft Club (Children) - Meets 1st Saturday of every month.